Seeing where a bird lands doesn’t guarantee you will find it. Looking for a downed bird in heavy cover, in particular, can be an exercise in frustration, especially if you don’t have a dog to help out. Finding it certainly isn’t impossible, however—if you follow these tips. After the shot, watch for where the bird goes down and sear that spot into your mind. It’s easy to wander off-course, so survey your surroundings for landmarks such as fence posts, rocks or unique trees to act as guideposts. Searching is easier when hunting with a partner—have one person visually mark the spot while directing the other toward it. 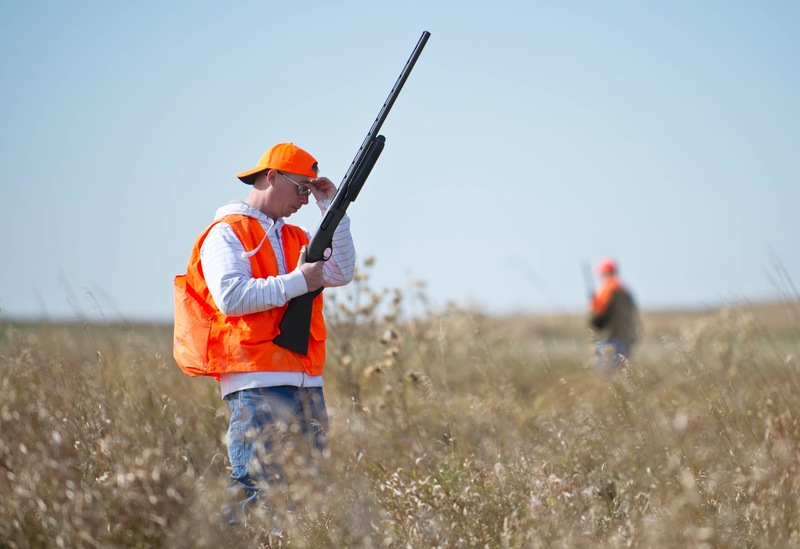 If you’re hunting alone, drop a blaze-orange object, such as a hunting cap, at both the shooting location and the spot where the bird hit the ground. It’s easy to lose the precise spot where a bird fell in an open field, so using markers lets you retrace your steps to reconstruct the shot and give you a second chance to search the area. Move as straight and as fast as your legs will take you to the spot the bird fell. The sooner you get to the last known location of the bird, the better your chances of finding it, even if it’s moving away from you. Also watch for movement in the grass ahead of where the bird went down. As you approach the spot the bird went down, look for clues such as feathers, blood or even bent grass to confirm the location of the impact. Even dead birds can end up deep in the vegetation, making them almost impossible to see. I once had a bird wedge itself under a small knot of grass, for example, and it took me more than 15 minutes of working through a small area to find it. It’s easy to haphazardly comb an area trying to find a downed bird. A better approach is to search in a pattern starting from where you saw the bird land, or believe it landed. You can thoroughly cover a lot of ground by slowly walking in an expanding spiral; if you’re with at least one more hunter, following a grid pattern works well. If you don’t find the bird during your initial search, pause and study the terrain. As with searching with a dog, look for a good place for a running bird to hide. Also consider the direction in which it may have run. It’s safe to assume the bird will have moved away from you, so look for the path of least resistance, such as downhill. And again, don’t give up: the reward of a bird in the hand, then in the pan, is more than worth the effort. Saskatchewan hunter Lowell Strauss trusts his dogs to find and retrieve his upland game birds. Dead birds are much easier to find once they hit the ground than wounded ones, and that’s where shot size and chokes come into play. The general guideline is to select a shot size sufficient to cleanly kill the bird using a choke that throws a dense yet even pattern. Lead #5 or #6 shot works well for ring-necked pheasants, while #7, #7½ or #8 is good for the likes of grouse and Hungarian partridge. If you’re shooting steel, use #4 shot for ringnecks and #6 or #7 for grouse and partridge. Basically, the smaller the bird, the smaller the shot you should use. 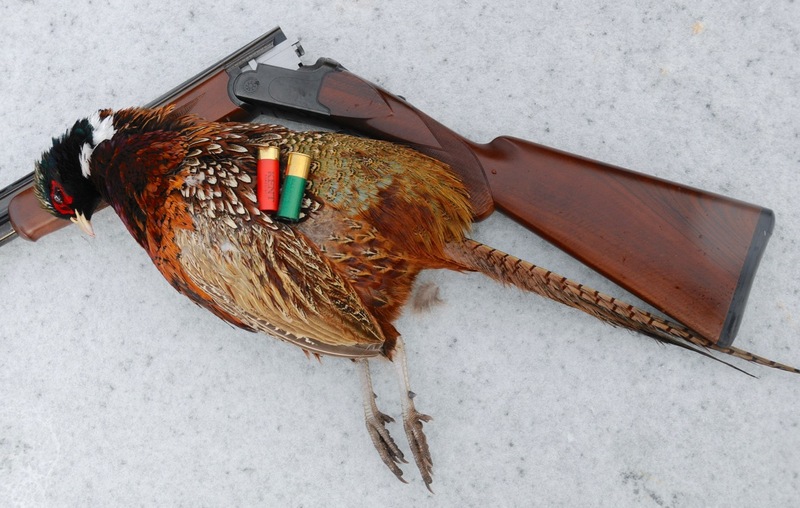 Upland game birds are typically shot at close range, between 10 and 30 metres, so you generally don’t need to go tighter than an improved cylinder choke. This also applies to double-barreled shotguns, although it can be a good idea to have a modified choke in the second barrel for birds that flush early. 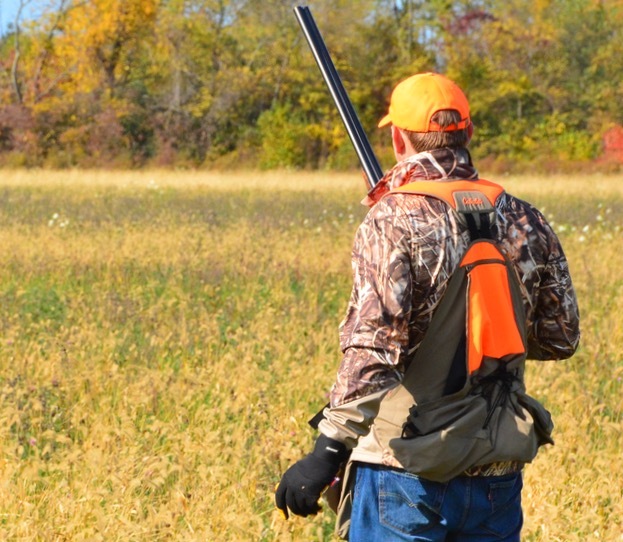 Before you head out, take the time to pattern your shotgun to find the load that works best with your choke. 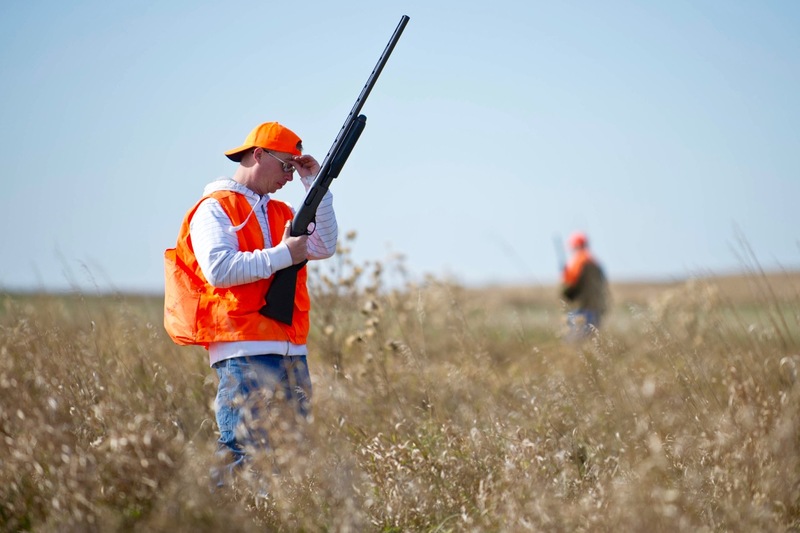 Patterns that deliver five hits or more on a bird-sized target are considered lethal.